Cubism was a 20th century art movement which had a far reaching impact on the art world. It was inspired by the late works of Paul Cezanne; and pioneered by Pablo Picasso and Georges Braque. The Cubist artists abandoned linear perspective and trying to closely imitate three-dimensional reality. Instead, they emphasized the two-dimensional flatness of the canvas to create artworks which were abstracted. The history of Cubism is usually divided into two phases: Analytical Cubism, which lasted from 1908 to 1912; and Synthetic Cubism, which lasted from 1912 to 1919. Know more about one of the most influential art movements of all time through these 10 interesting facts. Linear perspective was a method in use since the Renaissance in the 15th century. It solved the problem of representing three dimensional objects on a two dimensional canvas by creating an illusion of depth; thus allowing artists to create paintings that closely resembled reality. In Cubism, the artists abandoned linear perspective. They emphasized the two-dimensional flatness of the canvas instead of creating the illusion of depth. In a cubist artwork, the objects are analyzed, broken up and reassembled in an abstracted form. Instead of depicting objects from a single viewpoint, a Cubist artist depicts the subject from a multitude of viewpoints to represent the subject in a greater context. He thus showcases different views of subjects together in the same picture resulting in the paintings appearing to be abstracted. 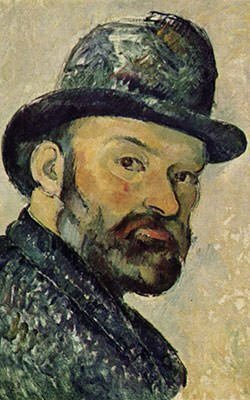 In his late works, the French artist Paul Cezanne (1839 – 1906) abandoned the tradition of linear perspective and flattened the space in his paintings to place more emphasis on their surface. By doing so he stressed the difference between painting and reality. Cezanne also explored simplification of natural forms into cylinders, spheres and cones. 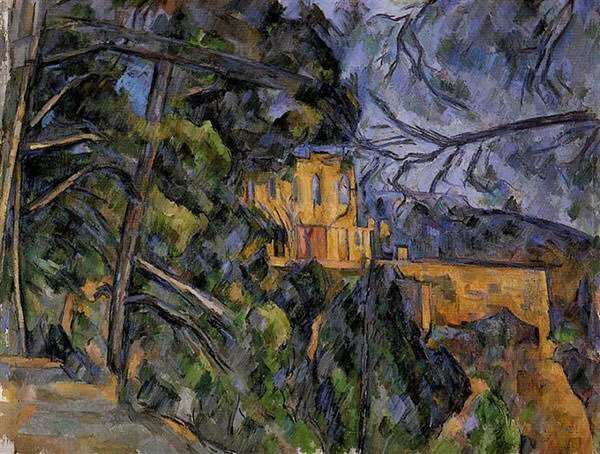 The Cubists carefully studied the art of Paul Cezanne and expanded his techniques. Cubism was thus partly inspired by him. The Cubism movement was principally invented by Spanish artist Pablo Picasso and French artist Georges Braque between 1907 and 1914. The two artists collaborated closely from the beginning of 1909 regularly meeting to discuss their progress. Both lived in the bohemian Montmartre section of Paris in the years before and during World War I, making their collaboration easy. During the early phase of the movement, the works of Picasso and Braque became so similar that their paintings are almost indistinguishable. Les Demoiselles d’Avignon (The Young Ladies of Avignon) is a 1907 painting by Pablo Picasso. Considered by many as the most important work of Picasso, it is regarded as a major step towards the founding of the Cubist movement. Picasso used different styles to depict each figure in the painting with the head of the women pulling the curtain in upper right being the most strictly Cubist element. 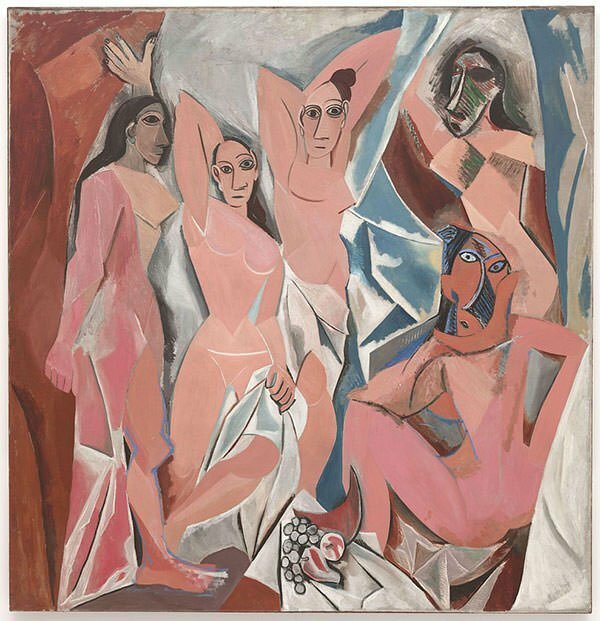 Although it was a major first step towards Cubism, Les Demoiselles d’Avignon is not yet Cubist and it is classified as proto-Cubist or pre-Cubist. In 1908, Georges Braque created a painting titled Houses at l’Estaque. 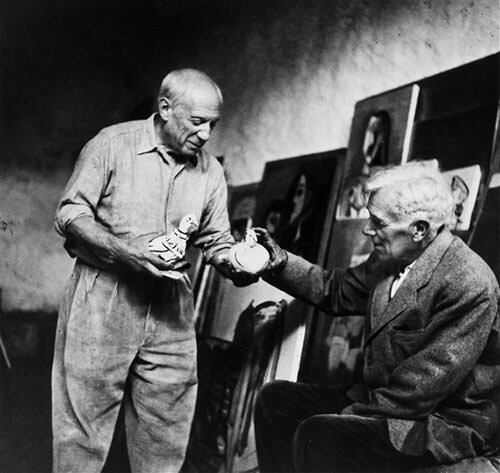 The work was one of several paintings created by Braque of the village of L’Estaque in France. 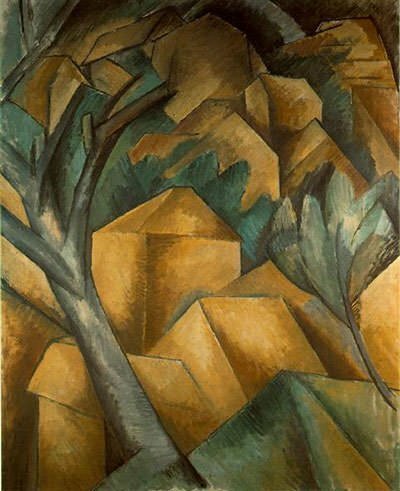 In Houses at l’Estaque, Braque broke the traditional rules of perspective and simplified the houses and trees in the painting to their barest geometric forms. 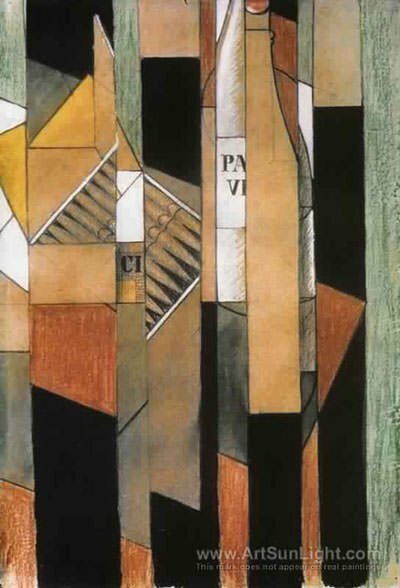 Although described as a proto-Cubist work, these elements in the painting formed the basis of the Cubist style. Houses at l’Estaque prompted art critic Louis Vauxcelles to mock it as being composed of cubes. His comment gave a name to the Cubism art movement. The Salon Cubists were a group of artists who exhibited their works at the Salon d’Automne and the Salon des Independants, both major non-academic Salons in Paris. They built upon the early Cubist experiments of Pablo Picasso and Georges Braque. It was primarily through their work that the Cubism movement became widely known to the public in the early 1910s. The Salon Cubists included the artists Robert Delaunay, Albert Gleizes, Fernand Léger, Juan Gris, Henri Le Fauconnier, Robert de La Fresnaye and Jean Metzinger. 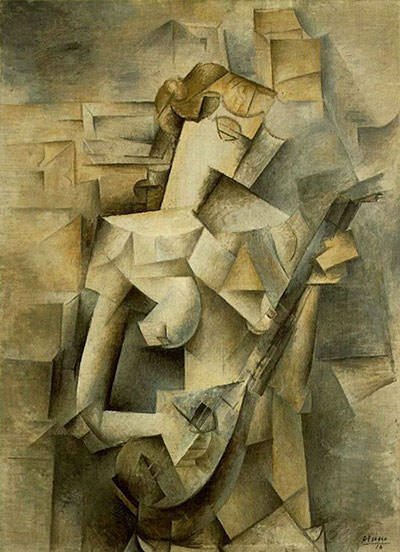 The first phase of the Cubism movement from 1908 to 1912 is often referred to as Analytical Cubism. The name of this phase comes from structured dissection of the subject, viewpoint-by-viewpoint, resulting in a fragmentary image of multiple viewpoints and overlapping planes. Further, Analytical Cubism was characterized by reducing the forms into basic geometric parts and by a tendency towards monochromatic use of color. The second phase of the Cubism movement, beginning in 1912, is called Synthetic Cubism. In it, the artists flattened out the image and swept away the last traces of allusion to three-dimensional space. Further, Synthetic Cubism was characterized by increased use of color; simpler lines and shapes; and imitation or introduction of a range of materials, like cut-out paper, into painting. Cubism opened up almost infinite new possibilities for the treatment of visual reality in art. It is considered one of the most influential art movements as it brought western painting and sculpture historically forward toward 20th century Modern art. Cubism had a far-reaching impact and influenced several other art movements including Futurism, Suprematism, Dada, Constructivism, De Stijl and Art Deco. It also went on to inspire movements similar to it in literature and architecture.